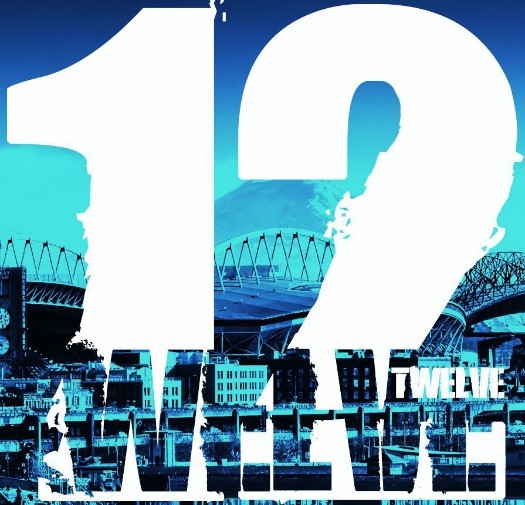 Welcome to Twelve Pool Service! Offering quality, reliable pool services and repair in Mesa, Tempe, Gilbert, Chandler, Queen Creek and Scottsdale Arizona. We also offer pool equipment sales, repair and installation including pumps, filters and pool cleaners. Contact us today! We offer a range of service options to fit your needs. Whether you are looking for full weekly service, one time only service or even chemical only service, we are here to help. Hit the "Learn More" button below to see the details on each of our service options. 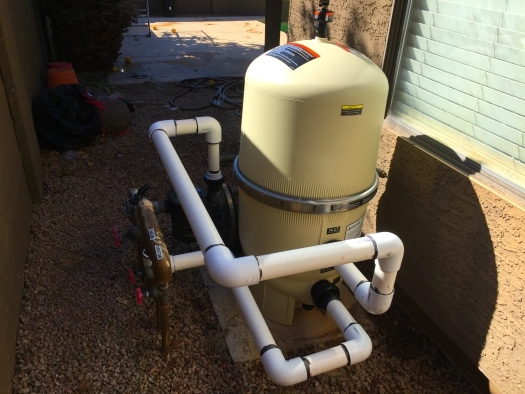 12 Pool Service sells and installs pool equipment including filters, pumps, variable-speed pumps and automatic pool cleaners. Contact us to learn more about what equipment is best for your pool and schedule a free quote for your pool equipment needs. Our filter cleaning services ensure your pool filter is clean and operating properly to keep your pool sparkling clean. The picture to the right shows just how dirty your filter can get over a few months time. 12 Pools can clean all DE and cartridge filters. 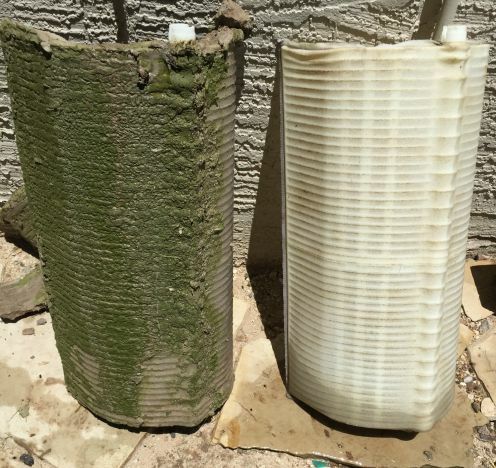 Call or e-mail us to set up your filter cleanings! 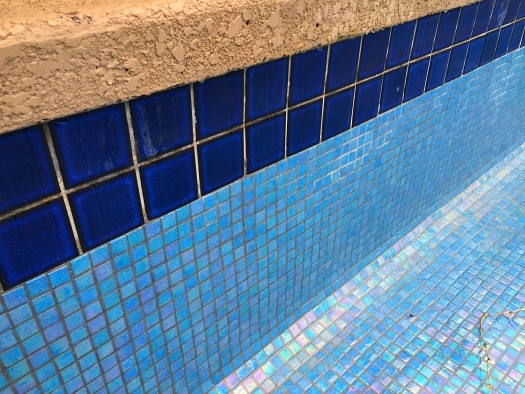 Over time, the tile in your pool gets buildup along the waterline and the surface of your pool may develop staining. We can get the tile cleaned with a bead blasting service along with acid washing services. Contact us for a free quote. 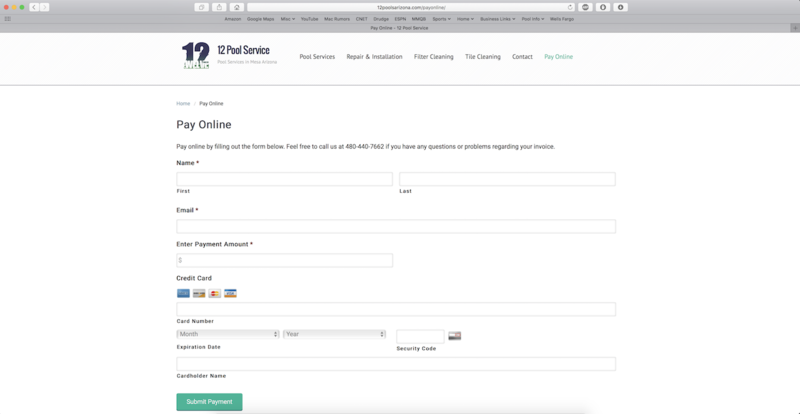 Pay Your Pool Service Invoice Online!